~ wear your hair in loose ringlets or in a tight bun. If your hair is short, just brush it and go, or even curl the ends a little bit. ~ apply your makeup very dramatically. Try making your eyeshadow smoky and alluring, and maybe try a deep red color for your lips. ~ try to find Spanish jewelry. SHOUT OUT: Inspired by Monika's latest addment! :) I thought I'd do a dancingstyle, too. Dancing is an everyday sport, right? So what better way to express your funky ways than dancing, especially since dancing in an open space with couple of friends will pull in some viewers (especially in Quincy Market in Boston: It's crazy there, but fun!) They not only will want to see your dance skills, but will be surprised by your fashion smarts, too. This is a delicate, beautiful look that ice skaters flaunt when performing. Even people who don't skate can get this look. You want to wear soft colors, like white, icy blue, light pink, and silver. 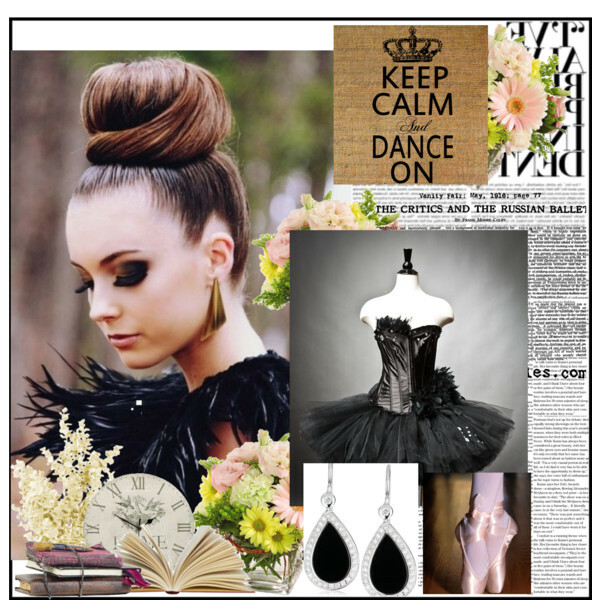 You'll also want to wear your hair up in a slightly messy bun. Short, flowing dresses are essential, as well as winter-related pieces too. I made this because my friend, Amanda, plays softball, and she wanted me to make an outfit based on her current favorite sport. So I made her wish come true. I hope she likes it, but I really don't know much about softball uniforms, so I just googled/searched it. 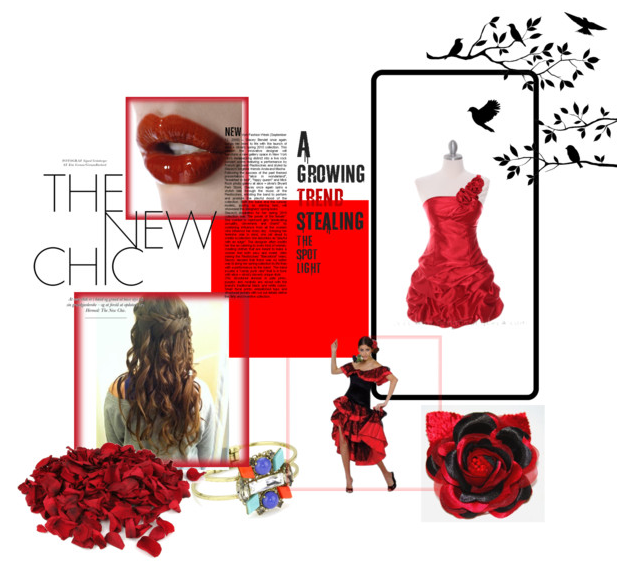 This is what I found, and I put some of my favorite, eye-catching pieces into this creation. 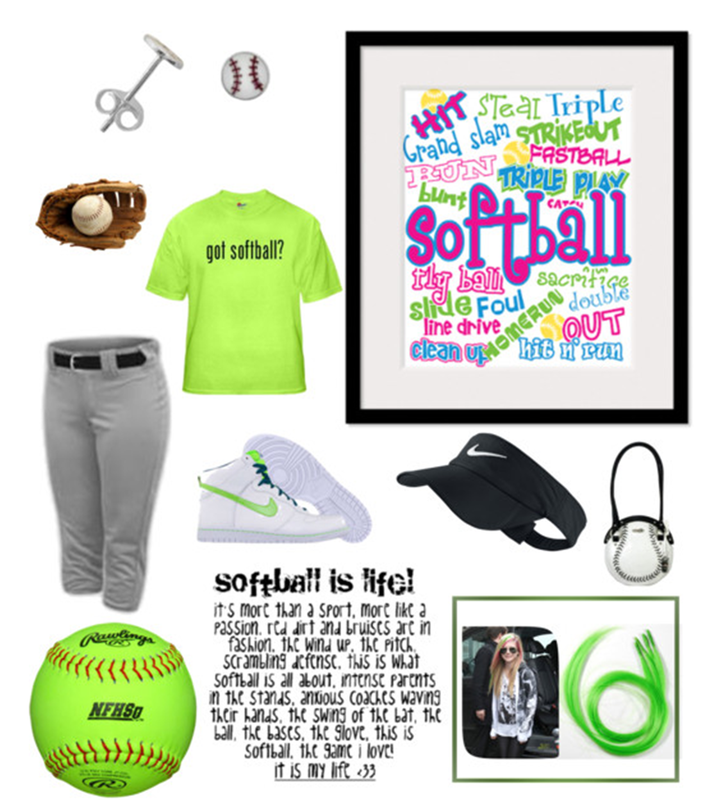 Apparently, green is a softball color. I based my outfit on the bright neon green color, which I think is pretty cool.